The WHALE GULPER Grouper Fishbox Discharge Pump WH BP4572 features valve technology that means no filters and no clogging or motor burn-out. Flow Rate: 6.75 GPM, Port Size: 1" or 1-1/2". Nominal Voltage: 12 Volt DC, Current Draw: 5 Amps, Fuse: 10 Amp. 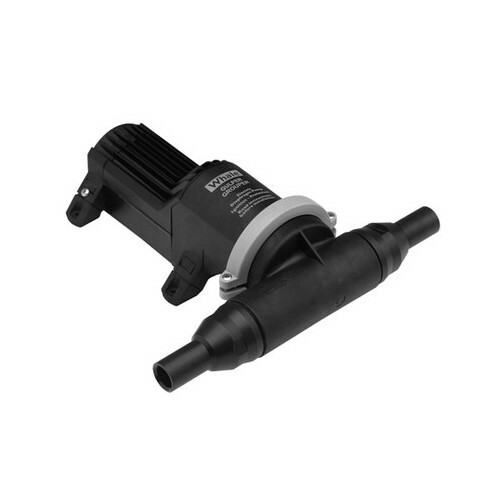 Easy to Install, Non-Clogging Filterless Waste Pump.